It is the most popular table casino game worldwide. 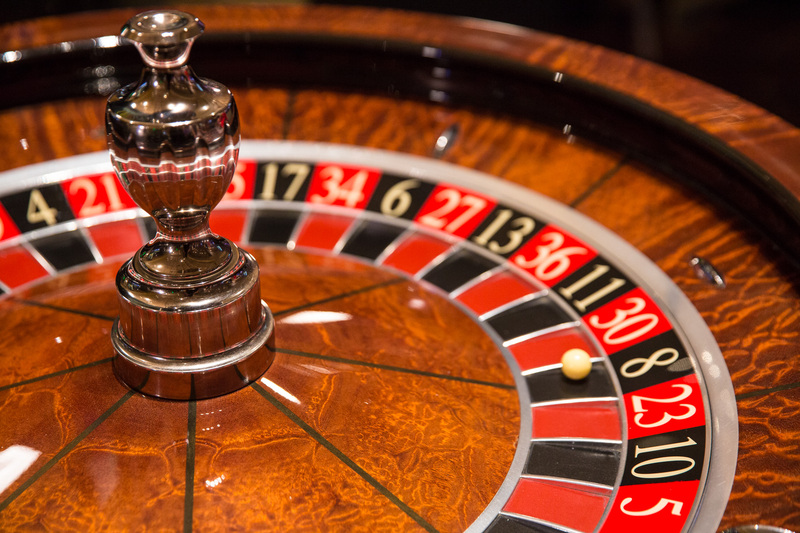 While the Roulette might seem rather complex at first glance, in reality it is a very easy game that anyone can play and understand. The wheel has 36 numbers plus the number 0. You can place a bet on any number (directly on it), on a combination of numbers, on red or black, on odd or even. You exchange money for colored chips with the dealer. Each roulette table has one to seven colors. Each player gets a different color to avoid mistakes and disagreements regarding bet placements. If the number you want to bet on is already covered with chips, don't worry. Placing your chips on top of others is acceptable. You cannot cash color chips at the cashier station; you can only cash gaming chips. 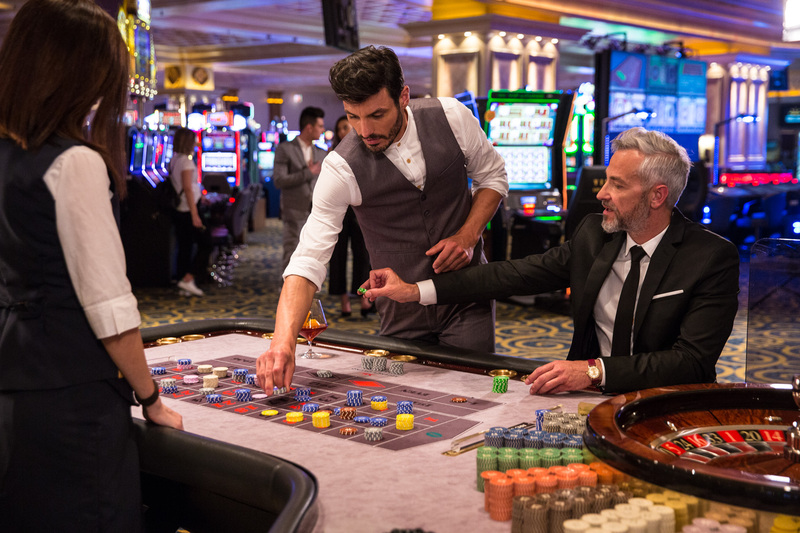 When you are ready to leave the table, give all your colored chips to the dealer and ask him exchange them for gaming chips. The player only bets on one number, with a payout odd of 35 to 1. The player places the chip(s) representing their bet on the line that separates two consecutive numbers. The payout odds for any of the two numbers are 17 to 1. The chip(s) is/are placed at the start of a three-number row on the table. The payout odds for any of these numbers are 11 to 1. The player or the dealer places the chip on the intersection of the lines separating four numbers (at the middle of the "cross" they form). If the ball stops on one of these four numbers, the player collects his bet multiplied by 8. The chip(s) representing the bet is/are placed in the line that separates two sets of three numbers, thus including 6 numbers. The payout odds for this bet are 5 to 1. Dozen is a bet placed on one of the special spots on the table which correspond to the three dozens. The "1st 12" spot includes the numbers from 1 to 12, the "2nd 12" spot those from 13 to 24 and the "3rd 12" spot the numbers of the remaining dozen, i.e. from 25 to 36. Bets placed on the "1st 12" spot win if the ball stops on a number from 1 to 12 - the same rule applies for the bets on the other two dozens. Payout odds for the dozen bet are 2 to 1. The bet is placed on a column covering 12 numbers. The betting area is at the end of the table (the section furthest from zero). The first column covers the numbers 1, 4, 7, 10 etc. up to 34, the second one the numbers 2, 5, 8, 11 etc. up to 35 and the third the numbers 3, 6, 9, 12 etc. up to 36. The payout odds for the column bet are 2 to 1. If a chip is placed on the "Red" spot (or the red diamond) and the ball stops on a red number, the bet wins with a payout odd of 1 to 1. The same applies for black numbers, by betting on the "Black" spot (or the black diamond). If a chip is placed on the "Odd" spot and the ball stops on an odd number, the bet wins with a payout odd of 1 to 1. The same applies for the even numbers, on which a player can bet using the "Even" spot. If the chip is placed on the "1-18" spot and the winning number is one belonging to this group, the bet wins. The payout odds for this bet are 1 to 1. The same applies for betting on the "19-36" spot. When zero is the winning number, the odds are 35 to 1 and all Dozens, Columns, Red, Black, Odd, Even, High-numbers (19-36) and Low-numbers (1-18) bets lose.